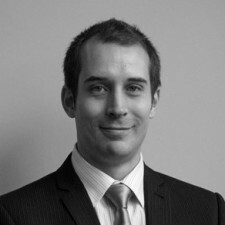 Tony is the Head of the Criminal Law Department, after initially joining McKinnells in May 2005. He rather foolishly left the firm in mid 2010, before returning in September 2011 in his current role. Lincoln Lawyer: Was it Twitter or the legal system on trial? Lincoln Lawyer: Read my lips – I am not racist! Lincoln Lawyer: Get used to being insulted! Lincoln Lawyer: Is there a justification to kill?